Venue: Monday the 29th of May at the Copenhagen campus of Aalborg University. 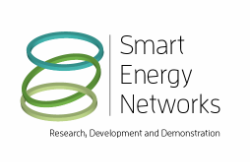 Organiser: The partnership for ‘Smart Energy Networks’ (SEN) funded by the Danish Energy Agency. The SEN partnership comprise of Danish Universities and organisations representing the Danish energy system operators and research support institutions. The network has produced three reports covering the vision, the framework conditions and an actions plan focusing on the need for research, development and demonstration project support for the transition of the Danish energy system. contribute to a dialogue about options and challenges in making the energy transition happen. Jacob Østergaard (Technical University of Denmark, DK): The Vision for Danish Smart Energy Networks – a transition perspective and a set of challenges for the Danish energy system presented in a report from SEN.
Frank Elefsen (Danish Technological Institute, DK): Framework conditions and Action plan for Research, Development and Demonstration – a presentation of two reports from SEN.
Felix Christian Matthes (Öko-Institut, GE): Energy transitions in Europe – the role of electricity, grid connections and market constructions. Erland Christensen (VGB Powertech, GE): Energy strategies in Europe and the security of supplies based on trading and flexibility. Brian Vad Matthiesen (Aalborg University Cph, DK): Strategies and option for district heating and cooling in Europe as contribution to energy efficiency and flexibility. Peter Pearson (Imperial College, UK): Challenges of converting models of energy futures into pathways of institutional and technical change. Ulrik Jørgensen (Aalborg University Cph, DK) Critical situations and the need for adaptive pathways to realise the Danish energy system transition – analysis based on contemporary Danish energy scenarios. Anders Eldrup (Grøn Energi, DK): What is need from the Danish energy actors to realise the 2050 vision for the Danish energy system. Michael Skou Andersen (Aarhus University, DK): Impacts on transition pathways and investment priorities of tarif structures, taxes and charges. Peter Karnøe (Aalborg University Cph, DK): Design challenges in the construction of markets for energy to meet transition goals. Grethe Hjortbak (Aarhus Varme og Affald, DK): Changes needed in the framework conditions of the Danish energy supply sector to meet the transition targets of 2050. The activities carried out in the SEN partnership are based on the Danish leading position within the transition to utilise renewable energy as a large part of energy supplies. Especially the integration of wind and solar power addresses challenges concerning integration and flexibility. In the future, they will become common challenges in the transition for many countries. The strength of the Danish energy systems lies in its expected capacity and ability to handle these challenges, but not without a need for further changes and renewed regulatory frameworks. It is within this perspective that the partnership has produced its three publications. The Danish energy transition is closely connected to the transitions of the energy systems in Europe and the Nordic countries and international collaboration is essential. At the same time the transition in Denmark demands more integration of the different energy networks and forms of energy provision which demands an integrated policy cross-cutting the individual markets and institutional frameworks framing the energy sectors of today.